Little Passports is a subscription box service that offers four fun and creative ways to explore the world for a wide range of ages. Our Little Passports review includes a look at all four of their monthly subscriptions, including Early Explorers, World Edition, USA Edition and Science Expeditions. Is this subscription box service worth it? We think so! Each of the subscriptions starts with the arrival of a suitcase packed with various fun and engaging items. After that, monthly packages will arrive that include more fun stuff, including activity booklets, stickers for the kids to decorate the suitcase, souvenirs and a whole lot more. Without further ado, here’s our comprehensive Little Passports review, with details and recommendations for each of the four editions. For preschool-aged kids (3-5) Little Passports offers its Early Explorers subscription box. Early Explorers allows young children the chance to explore themes like dinosaurs, oceans or music. During the first month of this subscription, your kids will receive a cute orange suitcase, a world map, a luggage tag, stickers, and an activity booklet. After that, the ongoing monthly packages include toys, souvenirs, trading cards and much more! This popular monthly subscription includes souvenirs and allows kids to learn about a new country every month through hands on activities. Right away, kids will receive a suitcase, passport, wall-sized world map, collectible country coin and coin board, adorable animal squishies and much more. Ongoing monthly packages will help kids discover a new country every month. Each month the subscription packages include toys and souvenirs for each country, new collectible country coins, activity sheets, sticks and a whole lot more! This edition is recommended for ages 7-12 and helps children discover the USA with fun and educational puzzles, games and crafts. Among other goodies, this version comes with fun and hands-on activity journals for each state. The first month of the Little Passports USA edition includes an impressive amount of items to help kids get started. These items include a field guide, scratch book, wall-sized USA map, super fun photo scavenger hunt and more. After that, two new states are featured each month with stickers, postcards and a 32 page state journal with a ton of activities for your kids. Little Passports Science Expeditions is a great subscription box service for any young scientist. Children who engage with this subscription can learn critical thinking and problem solving skills while also exercising their creativity. Initially, your children will receive a very cool tote bag, a science lab notebook, a forensic science experiment kit, fingerprint analysis card and an engaging booklet with more games and activities. “It Brings Our Family Together” from Little Passports on Vimeo. Little Passports has our highest recommendation. For all of the subscriptions, you can subscribe on a monthly basis at a slightly more expensive per package rate or opt for a 6- or 12-month plan. There are also some add-on products — like dolls, books and activity games that you can purchase for an additional fee. See all of Little Passports products here. Buy Little Passports today with a $20 off coupon on any subscription. Use the code EXPLORE at checkout. One question we get every year around tax time is: what is the best tax software for teachers? With this article we try to cover 5 of our top recommended options for educators’ unique tax needs. These online tax software options range in price and functionality but should have you covered and save you some money too. Even the priciest options should be cheaper than hiring a professional to prepare your return. In fact, some of them are truly free, at least for educators with simple returns! Read on for our review of what we believe are currently the 5 best tax software programs for teachers in 2019. Possibly the biggest name in Tax software, most educators cannot go wrong by choosing TurboTax. It is currently our #1 recommended tax software for teachers. This year’s version will search more than 400 tax credits and deductions (including the Educator Expense Deduction) to see which you qualify for. TurboTax guarantees teachers their maximum refund and 100% accuracy. Learn more about the TurboTax teacher discount and see if you qualify for the free version of TurboTax here. H&R Block is #2 on our list of best tax software for teachers and also has our highest recommendation. Benefits of using H&R Block include no hidden fees and unlimited help via chat. One feature that sets H&R Block apart is the ability to get your all or part of your refund as an Amazon gift card. What’s more, if choosing this option, you’ll get an additional 5% added to your refund! 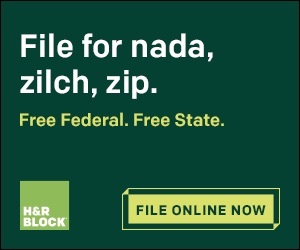 Like TurboTax, H&R Block also offers a free version for filers with simple returns. If you have more complicated taxes, definitely take advantage of your 25% H&R Block teacher discount here. TaxSlayer is a great choice for educators who want a simple data entry option. This program’s “quick file” option is a blessing for those who want a simplified filing process. This program has the distinction of being the highest rated tax software for ease of use. As with the other recommended tax filing software recommendations for teachers, TaxSlayer has a free option. The paid options are very reasonable as well. Liberty Tax is a great option for educators who are savvy and experienced with filing their own taxes. The program allows you to choose what aspects of your return you want to work on and when. It even offers up helpful recommendations along the way, warning you if you enter information that might trigger an audit. Audit protection is even included in the price! Liberty Tax is not as user-friendly as our top 3 options, but is very affordable and will definitely get the job done for you. Last but not least on our list of best tax software for teachers is FreeTaxUSA. 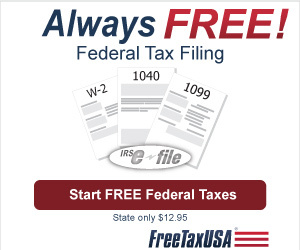 FreeTaxUSA is unique in that Federal Tax Filing is 100% free for both simple and complicated returns. Furthermore, state returns only cost $12.95! One useful feature is that if you filed with TurboTax or H&R Block last year, you can conveniently upload your return from last year. All in all, this no frills option is perfect for educators who like to save money and who are OK with less bells and whistles. We hope you found this list of our top tax software programs for teachers helpful. We truly believe any of these 5 options will be great for you. Please let us know what you think of our list in the comments below. If you have a personal favorite tax program for teachers we have missed, please let us know that in the comments as well! Are you a teacher looking to buy a home and need help with financing? Please consider some of the special mortgage programs that cater specifically to educators. In this article we are excited to share 4 of the top providers that currently offer teacher home loans! Why Should you Explore Teacher Home Loans? First off, these programs were created with educators in mind. They may offer some perks and/or discounts that you may not get from traditional financing options. One of the perks includes discounted closing costs or lower interest rates. Some programs even can make a donation to your school. All this considered, teacher home loans might very well be what you are looking for when you wish to finance the purchase of a home. Our #1 recommended provider of teacher home loans is LendingTree, where you can easily compare up to five educator-friendly home loan offers! Whether you are purchasing a home, refinancing, looking for a home equity line of credit or seeking a reverse mortgage, LendingTree has our highest recommendation. If looking at any of the other options that follow, it is highly recommended you take a look at LendingTree first! This will give you the most options. Furthermore, it can help you make an informed decision on which home loan for teachers is best for you! Highly recommended! Discounted Closing Costs – Supreme Lending is offering up to $800 in reduced closing costs to educators. If you qualify, you will receive a credit on your HUD-1 settlement statement for up to $800. Discounted Real Estate Agent Fees – The Educator Mortgage Program looks to work with real estate agents who want to give back. As an educator, you will receive a credit on your HUD-1 settlement statement up to $800 from participating Real Estate Agents. These funds can be used for any fees, prepaids, seller fees, or new escrow account set up for your new loan. Donation to Your School– With the Educator Mortgage Program, a donation of to $200 will be made to the school program of your choice. If you work with a participating real estate agent, an additional $200 will be donated, for a total of $400, to the school program of your choice! Visit the Educator Mortgage Program’s website for more info on their teacher home loans. They offer various home buyer mortgage programs including FHA loans, Fannie Mae, Freddie Mac, VA, USDA, Jumbo and more. FHA Loans – Federally backed loans with a low fixed rate, great for the educator who is a first time home buyer. Conventional Loans – These are not backed by the government and usually require a larger down payment. However, one advantage of these loans for teachers is that monthly mortgage insurance is not generally required. USDA Loans – 0% down loans that are insured by the government. These loans are only offered in “rural” areas. The fact that these loans require no down payment puts home ownership within the reach of many educators. VA Loans – If you are a veteran, this could be a great option for you. Like the USDA loan, it does not require a down payment. Home Path Program – This program is only available for the purchase of Fannie Mae owned homes. It offers educator borrowers low down payment options, flexible terms, no mortgage insurance and no appraisal fees. “Making Home Affordable” Program – Teacher Home Advantage works directly with this program. Basically, it includes opportunities to help borrowers make their monthly payments more affordable. In other words, it allows homeowners the chance to decrease their current mortgage payments, even if they’re “upside down” in their home. Teacher Next Door – This program (more specifically HUD’s Good Neighbor Next Door Sales Program) offers Pre-K through 12th grade teachers a wonderful opportunity. Make a contribution to community revitalization while receiving a substantial 50% discount on the list price of a home! The limitations of this program are that you must commit to live in the property for 3 years, and qualifying homes must be located in HUD-designated revitalization areas only. Learn more about these different programs and what the Teacher Home Advantage offers educator clients here. Offered through Wells Fargo Home Mortgage, the NEA Home Financing Program® is offered as a benefit of the NEA Member Benefits program. Learn more about the NEA Home Financing Program® here. Explore your Teacher Home Loan Options Today! When searching for your teacher home loan do not forget to compare rates and other benefits. Again, our highest recommendation is to start your comparison shopping on LendingTree today HERE. We admit, the title of this post about teacher freebies is a bit misleading. In truth, this list includes links to THOUSANDS of 2019 teacher freebies. These 13 freebies are either individual freebies you can claim today, or links to online resources with hundreds (or thousands!) more freebies – worksheets, activities, lesson plans, you name it. We tried to select a variety of teacher freebies that would suit most, if not all educators. Besides some great stuff for your class, your students and/or your school, there are some freebies here for YOU too. You deserve to be rewarded too, right? That said, on to the free stuff! Get a free 30 Day trial + Two free premium audiobooks. Great for professional development or entertainment purposes. Thousands of free online courses from top universities like Harvard, MIT and others. Great for your own professional development or for ideas/inspiration for your own classes! Microsoft is offering all qualifying teachers (and students!) Microsoft Office 365 for free! You will also get 1TB of online storage. This one’s a no-brainer if you qualify. Teachers Pay Teachers currently offers over 500,000 printable teacher freebies, including lesson plans, worksheets, activities and more! Spans pre-K to 12th grade. TeacherVision offers thousands of classroom management tools, lessons plans, whiteboard-compatible books, games, worksheets and a whole lot more. Currently, they are offering a free 7-day all-access pass. After that, it’s only $7.95/month for complete access. The “Energy Film & Education Project.” Educators can get a free copy of the award-winning documentary on DVD plus access to a curriculum and study guide, as well as access to more online resources. Expert Secrets is a book that could change your life. The goal of the book is to teach you how to leverage your teaching expertise to create a side income by creating a mass movement of people who will pay you for your advice. If this sounds complicated or unbelievable, all we can say is watch this video, be inspired and grab your free copy of “Expert Secrets” today! Get a free DVD, The Story of Human Rights booklet, and a guide you can use to help bring about awareness and understanding of human rights and to start making a difference! Kindle Unlimited allows you to access the best books and magazines currently available. Whether you want to binge read the Harry Potter series again, need fresh lesson plan ideas or want to check out the newest version of your favorite magazine, Kindle Unlimited is simply a great product from Amazon. Educators get a free month to try out this fantastic service. Best of all, Kindle Unlimited works on any device! You don’t need to own a kindle to enjoy Kindle Unlimited. Free kindle apps allow you to access your kindle library anywhere! technologies, apps, etc. that teachers can use in their classrooms. SAMHSA (The Substance Abuse and Mental Health Services Administration) is offering a free underage drinking prevention kit that includes a teaching guide, poster, worksheets and a family guide. Identity thieves are everywhere. Last year over 12 million individuals were victims of this faceless crime. Get protected today with a free two week trial of this top identity protection service. Great for educators and students alike. 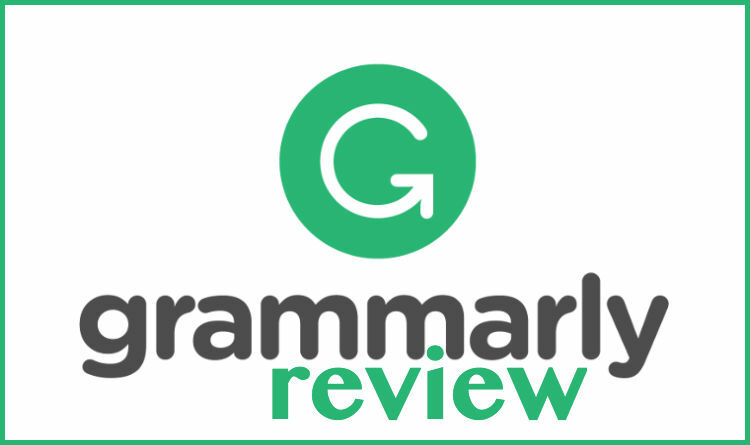 This free, must-have tool corrects more than 250 types of grammatical mistakes, while also catching contextual spelling errors and poor vocabulary usage. You’ve Got 99 Problems and Teacher Freebies Ain’t One! This is just a small sample of teacher freebies we were able to find, there are 99 more in our Ultimate list of 112 Teacher Freebies! You can download the full list via the “Get the Ultimate List” box below. Save yourself and/or your school some money and grab that list today. There’s truly something (or a lot of things!) for everyone there. Here’s a handful of Cathy-approved homeschooling educational picks available on Amazon. We hope that these 16 recommended resources will save you from countless hours of shopping around for the best homeschool curriculum. If you have yet to hear of Life of Fred, you are in for a treat. Developed by math teacher Dr. Stanley F Schmitt, this story-based math learning series has taken the homeschooling world by storm! In this series, learners follow Fred and his pals through life while learning math concepts along the way. Truly, kids often don’t even know they’re learning something until they are told! Each Life of Fred book has a single topic, like Apples, Ice Cream, or Money. (Yes, our Moneywise Teacher readers will love that one!) Cathy recommends that you supplement your students’ math learning with social studies or science based around the same topic! The premise of Math Lessons for a Living Education is that, “content, story, and the ability to show math in real life” is what makes a stellar math curriculum! In real life, there are no barriers between “subjects.” As an example, when cooking or baking, we use reading, logical thinking, and measuring skills. This exceptional series is committed to teaching math in the same organic way! A favorite of homeschool parents, the Math Mammoth series constitutes a full elementary mathematics curriculum for 1st-7th grades. With this series, kids can learn on their own with the comprehensive student books. The focus with these book is on conceptual learning. They are visually engaging, and chapters are organized by topics and themes. This interactive math curriculum can make the homeschool math journey easy. A+ Interactive Math can do it all–teaching, grading, and tracking! This program allows you to personalize lesson plans in order to target exactly what your student needs. A bonus is that you can choose the best format for you (and your students) – CD, eBooks or online! This engaging book presents kids with a fun and colorful explanations, examples, and charts. These wonderful lessons are perfect for teaching your kindergartner mathematical foundations. This visually rich and fun curriculum focuses on one topic at a time, which should allow your child to master a concept before moving on to the next one. Included with each enVision Math Homeschool Bundle are a Student Edition Worktext and a Teacher Edition CD-ROM. Grammaropolis can be a wonderful tool for K-3 learners as they seek to perfect their English grammar. This set comes with animated shorts, books, quizzes, and music videos. Lots of learning styles are covered here! A Reason For Handwriting seeks to provide your students with a truly meaningful way to improve their handwriting. Lessons are each built upon a Bible verse which is chosen for encouragement as well as letter combinations. It’s been proven that when kids retain more and learn more effectively when they are having fun. A Reason for Handwriting definitely brings enjoyment to the task of developing handwriting skills. Spelling Workout will help create a solid foundation of phonics principles. Included are puzzles, riddles, and activities that will keep your students engaged. Included in each bundle are a Student Edition, Teacher Edition and Parent Guide. Back to Life of Fred! Algebra learners and beyond will love the stories and learn the concepts through holistic learning. It is recommended that if your advanced learner is new to Life of Fred that they start from the beginning. This re-learning of concepts will help them get up to speed and can set them up for success. Considering the theme of this website, we would be remiss to not include a recommendation on a homeschool curriculum that instills strong financial decision-making. The Life of Fred Financial Choices book is definitely a great intro and a great resource for helping you teach money skills. Be sure to supplement this with these 5 Great Board Games that Teach Money Skills. This sets a foundation for students to become engaged citizens by learning about US politics and history. Includes a teacher’s guide for every chapter, lesson plans, editable tests and even audio podcasts on each subject! With this unique resource, students can learn the first 8 Constitutional Amendments (Bill of Rights). They then have the chance to act as the Supreme Court to make decisions based on those amendments! This set comes with four science kits and covers topics like the weather, “going green” (recycling, composting, etc. ), solar energy and “wonders of nature” (fun stuff like ant hill building, dissolving an egg shell and more!). This interactive and inquiry-based science teaches basic life, earth and physical science concepts through super-fun hands on-activities. The whole family can get involved in this engaging series as parents and students are both tasked with problem-solving and engaging in group discussions. With this series, your science detective kids will engage in mind-building exercises! Science Detective prepares students for more advanced science courses and also gives them opportunities to build their reading comprehension and reasoning skills. Best Homeschool Curriculum – Your Picks? We hope this selection of 16 recommended homeschool curricula has helped you decide on your own personal best homeschool curriculum. Please let us know in the comments what you think, and also if you have any recommendations for any picks we might have missed! In the recently published Side Gigs for Teachers: Ways to Actually Make Money Jackie Bolen and Jennifer Booker Smith seek to show educators how to earn extra money in their spare time. We reached out to co-author Jackie Bolen and asked her some questions about the book and side hustling in general. We hope you enjoy the interview and be sure to grab your copy of Side Gigs for Teachers today! 1) What inspired the two of you to write this book? Jennifer and I are both “retired” teachers who met while teaching English in South Korea. Of course, we’re not really retired and are still super busy doing a million things! She’s traveling around the world, and I’ve since moved back home to Canada. We got started with self-publishing books, developing websites, and putting materials on Teacher Pay Teachers while still teaching in Korea. But these days, we’re both making a full-time living off of our side-gigs. We hope to inspire other teachers out there (ESL and otherwise) to get their own side hustle going on. It’s an excellent way to earn a bit of cash in your spare time, or even make it into a career like we have. If you’re not happy in the classroom, need a break, or just want to have a bit more cash in your bank account at the end of the month, there are options out there! 2) About how many side gigs for teachers does the book cover? We divide the side-gigs up into two categories: Active, and Passive. By “active,” we mean things like tutoring, pet sitting, or test evaluating. Basically, you have to work one hour for one hour of pay with these side-gigs. We discuss 14 of the best ones for teachers options in detail. Teachers have a lot of skills like public speaking, writing, and knowledge about certain areas so why not put that to good use to make some extra money? The second category of side gigs are passive ones. By “passive,” we mean that you have to put a lot of work (or money with investing) in up-front, but that you can earn money for years down the road. Some of the examples are self-published books, affiliate websites, and investing in the stock market. We give you all the details for how to get started with seven of these ones. 3) Can you tell us about two or three of your favorite side gigs for teachers covered in the book? There are a few that I’m currently using to make a full-time income. Jennifer and I have 20+ self-published books that you can find on Amazon. The first one took a lot of time, effort and frustration! But, we’ve learned so much along the way that the process has gotten much easier over time. I also develop Amazon affiliate websites. Basically, I review products on Amazon and if people click a product link on my website, and purchase something on Amazon, I get a commission. This side-gig is good for people who have a very, very long-term vision. It can take a year or two of solid work before you ever earn you first dollar. But, there is huge potential to make this into a full-time job for yourself. Jennifer is the guru of all things Teachers Pay Teachers. You can put your course materials on that website and people pay you to download them. If you already spend a lot of time creating some awesome stuff, why not make a bit of extra money off of it? 4) What kind of teachers do you think can be successful with side hustles? I really think that just about anyone can start a side hustle. There are a million and one different ones so you’re sure to find a side-gig or two that will work for you. In our book, we talk about 21 of them, and I’d be very, very surprised if you read the book and couldn’t find one that would work! However, the people that do the best with starting a side-hustle are usually motived, and are also long-term thinkers. It can a while before you start to get some traction in terms of earning serious money. The key is to believe in what you’re doing, work smart, and also be willing to put in some serious effort to get things off the ground. Of course, perseverance helps a lot. You will get some motivation though when you earn your first dollar from your side hustle. 5) For a busy teacher just getting started trying to make money on the side, what kind of general advice would you give them? The best advice I could give you is to start with one side-gig. It can be tempting to try and get a million things up and running, but in reality, you’ll have more success if you master one thing. Give yourself at least six months before trying another one. The other thing I would say is to just start NOW! Actually, yesterday was the best time, but it’s not too late today. You can spend months and years researching and thinking and planning, but it’s better to just make some forward progress in terms of action. You WILL make mistakes. Everybody does. Learn from them and keep putting one foot in front of the other. 6) Besides your books, do you have any recommended resources for teachers getting started with side gigs? I am a huge fan of Pat Flynn over at Smart Passive Income. He interviews the top people in the online business world. 7) Anything else you would like to tell us or share with our readers? You can find me online at www.jackiebolen.com. I’m happy to help you out by answering a question or two. I also offer consulting via Skype for more detailed advice about getting a side-gig up and running. Get in touch! Author Bio: Jackie Bolen is a former ESL teacher in Korea who turned her side-gigs into a full-time job in Canada. She’s an author, website developer and lover of all things passive income, and online business. You can find her at www.jackiebolen.com. Side Gigs for Teachers: Ways to Actually Make Money is available now on Amazon in both Kindle and paperback versions! Great board games are fun, engaging and can be wonderful learning tools! Here we share 5 of the top rated board games that teach money skills to young children. We start our list of board games that teach money skills to kids withCashflow for Kids. This game was developed by Robert Kiyosaki, author of the #1 selling personal finance book of all time, Rich Dad Poor Dad. He considers the game the realization of his vision for an interactive tool for financial education for children. This highly engaging board game simulates real life situations and financial strategies in ways that both children and adults love. Through this game, your kids/students will gain insight into how money and investing work. The Allowance Game is an involving, skill-building game where players race around the board while doing “chores” to earn their “allowance”. After earning money, they can then spend it on things they want or save it. As children play, they learn to make change, handle money and more! As the name suggests, Money Bags – A Crazy Coin Counting Game offers a fun way to teach children money-counting and combining skills. The object of this game is to earn money while winding along a cartoon path. Money is earned by landing on “chore” square, labeled with a practical task, such as setting the table or an entrepreneurial endeavor such as opening a lemonade stand. To collect money, the spinner determines which coins can or cannot be used, an excellent element to the game that encourages problem-solving and critical thinking. Exact Change is similar to UNO in that the goal of the game is to play all of your cards first. You can discard cards by matching the color of the last card, its value, ($1.00 on $1.00, etc. ), or by making EXACT CHANGE. For example, if the last card played was a quarter, and you had two dime cards and a nickel card, you would be able to combine and discard all three of them at once! This game is among the best board games that teach money skills to young kids. Our final game in our list of the best board games that teach money skills is ThriveTime for Teens, which can give teens a real look at finances. During the course of the game, players have to navigate major life decisions such as paying for college, deciding whether to utilize credit cards, starting a business, investing and more. This game even gives teens the option to give back financially to the community. Other Great Board Games to Teach Money Skills? I hope you will try some of these games with your children and/or students! Have you downloaded our huge list of 112 teacher freebies yet? Among the freebies are some great games you can download and print for free! If you know of any other great board games that teach money skills to children or would like to comment on the games above, please leave your comments below! For this interview, we asked Gina a handful of questions relating to educators and freelance writing. Without further ado, here are our questions followed by Gina’s compelling responses! What qualities make a good freelance writer? Do you think educators are (in general) well-suited for freelance writing? I think you should probably enjoy writing at the bare minimum. Being good at it or having decent writing chops is helpful, but can also be learned and improved over time. The best qualities are probably having a thick skin and fierce determination – success from freelance writing comes from putting yourself out there consistently and following up. I.e. marketing yourself and doing the work. I think teachers and educators are definitely prime candidates for freelance writing. As an educator you’re likely pretty good at teaching and imparting helpful information on students. Writing as a medium accomplishes the same thing – you’re communicating and educating an audience of readers and ideally helping them to improve their lives in some way. How much can a part-time freelance writer expect to earn? Your niche. Some niches are higher paying, like personal finance or healthcare. Your experience. As you gain experience (and samples) as a writer, you can command higher rates. Your confidence. If you don’t believe you’re worth a certain rate, you won’t ask for it. From my experience, new freelance writers tend to start out around the $30-50/article mark and work their way up. More experienced writers command hundreds of dollars per post. Using myself as an example, freelance writing is only a portion of my diversified business, so I’d consider it “part-time.” I average $2,000-3,000 from just writing in an average month with just a few key clients. Can you share a success story of an educator who successfully freelance writes? There are actually a fair amount of teachers that have gone through my course, 30 Days or Less to Freelance Writing Success . Many of them have actually started a mastermind together for accountability and because they have so much in common. Leaving teaching was not an easy decision to make, and working out what to do next was even harder! I was an English teacher, so writing seemed like the perfect fit. Except, people can’t seriously write for a living can they? When I realized that there was a market for writing website content, updating Facebook or creating tweets, I couldn’t believe it! This wasn’t even a career option when I was a school (which really wasn’t that long ago!). Initially, I started VA work, but soon realised that I wanted writing to be my main focus. I decided to invest in Gina’s 30DOL course and it helped me to no end! It made everything seem so easy, and totally achievable. As Gina was writing her 30DOL VA course , I had just landed my biggest client to date and I was thrilled when Gina asked me to create a case study about it for the course. It was amazing seeing “Lesson 10 – Philippa’s Story” pop up in my inbox. That course, combined Gina’s blog posts and the Facebook group have really helped me move my freelancing up a notch. I now confidently cold-pitch regularly (teachers are not known for being sellers, not in our nature) and have this weekend been working on my latest new client’s website content! I still can’t believe that people pay me to write. It is a dream come true. I don’t make enough to do it full-time yet, but while working in my non-teaching day job, freelancing is keeping me motivated, satisfied and happy. I am on the way to the balanced lifestyle I want, and am much, much, much closer to it than when I was teaching! Besides your own course, do you recommend any particular resources (websites, books, etc.) for educators looking to get started with freelance writing? One of the recommended resources that I came across was The Yahoo Style Guide! It’s a great (and very comprehensive) guide to help you learn how to write for the web. My friend Sarah also has a site called, Life After Teaching, which helps educators that are looking to transition out of teaching find their way. She also has a book with the same name that you can find on her website. Anything else you would like to say to educators interested in supplementing their income with freelance writing? Most people let fear (or any number of excuses that disguise themselves as something else, but really are fear – lack of time, lack of direction, needing everything to be perfect, etc.) hold them back from taking action and pursuing a new direction. Instead, punch fear in the face and do it anyway. When I started, I decided I was either going to succeed or fail hard trying. Gina Horkey is a married, millennial mama to two precocious toddlers. Additionally, she’s a professional writer and online business marketing consultant with a decade of experience in the financial services industry. Gina enjoys helping other freelancers gear up to quit their day jobs and take their side hustles full-time. If you’re interested in starting a freelance career, take Gina’s FREE writing course to kickstart yours today! Click here to get the first lesson sent to your inbox. The Moneywise Teacher was recently founded with the aim of becoming the go-to resource for educators on all things money. We seek to regularly publish highly useful content that helps educators make and save more money! Beyond providing tips, strategies, and general financial education, we hope to help educators be able to better teach money skills. Great financial programs for educators – loans, bank accounts, credit cards, etc. Anything else related to both educators and money! For more info or to apply, please visit our write for us page HERE. We look forward to hearing from you!